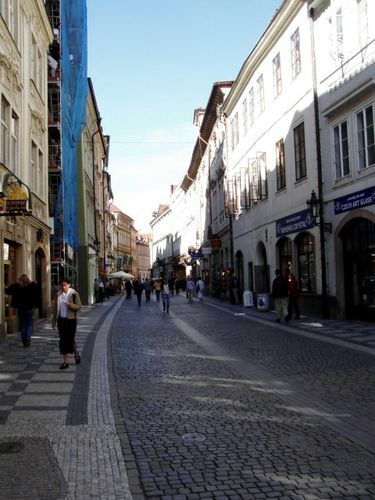 Celetná Street is one of the oldest and most important streets in the Old Town. 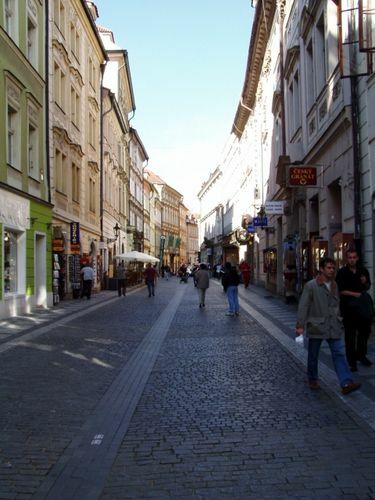 In the 14th century, during the reign of one of the most prominent Czech and European rulers, Emperor Charles IV, the importance of Celetná Street grew when it became part of the so-called Royal Way. The Royal Way was a route through the city which Czech kings had to follow on the day of their coronation. It leads from Vyšehrad – Prague’s second castle – along Celetná Street, over the Old Town Square, along Karlova Street and across Charles Bridge up to Prague Castle, where the coronation would take place in the Cathedral of St Vitus. The name of the Street is probably derived from the word Calty – a type of bread baked here in the Middle ages. Celetná Street is full of interesting and historically valuable buildings whose foundations go back to the Gothic period. These structures then underwent Renaisance and then mostly baroque reconstruction. 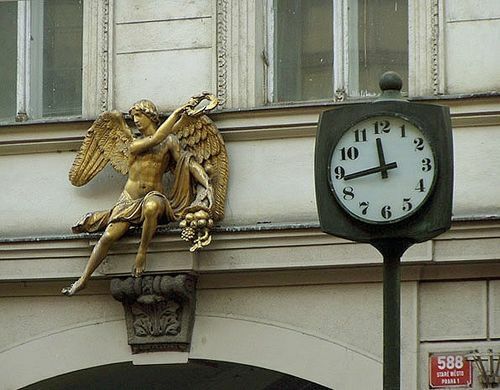 Celetná Street is regarded as one of the highlights of Prague’s architectural treasure trove. Some of its most noteworthy buildings are the House of the Black Madonna, the Pachtův Palace and the House of the Golden Angel.